Manual Program can be set as per user requirements. Dry time : 1~60 minutes. 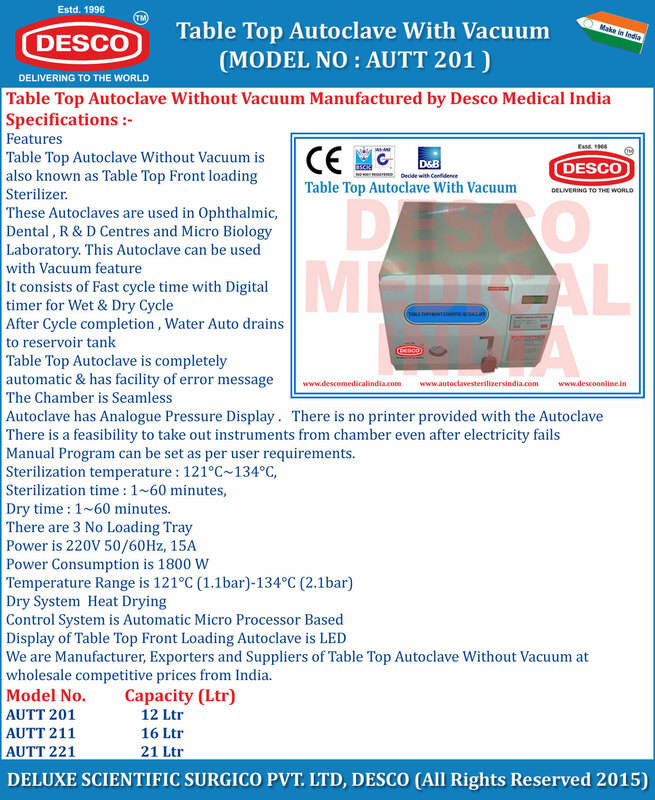 We are Manufacturer, Exporters and Suppliers of Table Top Autoclave Without Vacuum at wholesale competitive prices from India.